Get in & out of your vehicle with ease & comfort. Offers non shipping surface & superior grip during normal wet, muddy or any kind of weather conditions. Frees up valuable space inside the car. Convinient for children, ladies & olderly people. 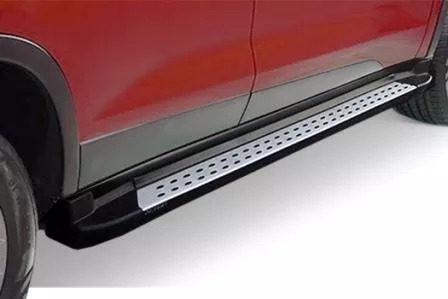 Procides protection from the side to your vehicle. Easy to install / No drilling required.